There are now just two rounds separating the last eight clubs from the Europa League final at the end of May. 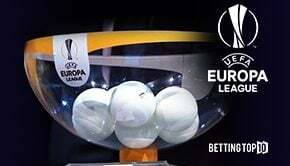 The early preliminary rounds took place back in June of last year but now the quarter final and semi final draws have been made there is a clearer picture of who might lift the trophy in Baku. The round of 16 saw another avalanches of goals – and a few surprises as well. Inter Milan failed to capitalise on home advantage in their second leg and were beaten by Eintracht Frankfurt, while five times winners Sevilla were sensationally knocked out by Slavia Prague. With such a parity of talent the Europa League is an intriguing competition with any of the eight sides left able to get a result – and the quarter final draw has thrown up some interesting looking ties. With the semi final routes also decided, the two English favourites could well meet up in the final after avoiding each other in both draws. The bookies have been consolidating their odds with nothing much changing after these latest developments. Arsenal v Napoli is the real stand out tie of the quarter finals, giving Aaron Ramsey a chance to test himself against Italian opposition before his move to Juventus in the summer. 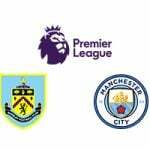 Although the draws open up the possibility of an all English final there is also now the chance of an all Maurizio Sarri final – with Chelsea and his former club Napoli also separated. Eintracht Frankfurt continue to fly under the radar – although their victory over Inter Milan in the last round will alert the others of their potential. The German side have been very impressive in the Bundesliga this season and have followed up that form in the Europa League. Benfica may be happy that they have avoided the Premier League clubs but this is not an easy draw for the Portuguese side. Slavia Prague’s reward for knocking out Sevilla has been a pairing with the favourites, Chelsea. Not many sports betting sites will give the Czech club a chance and this is likely to be the end of the road for the Europa League long shots. The all Spanish tie sets up a domestically woeful Villarreal against former Champions League regulars Valencia – and promises to be an exhilarating two games. With Chelsea’s odds narrowing the value bets are to be found elsewhere and – depending on preference – either of Arsenal or Napoli could be worth a wager. Unibet have Arsenal at 17/4 and Napoli at 15/4 to win the Europa League and whoever wins their tie could go all the way. Looking at the early prices for the first leg matches Arsenal also look good value at 6/5 with 888Sport to beat Napoli at the Emirates. Chelsea could conceivably beat Slavia Prague home and away and 5/6 for a win in the first leg in the Czech Republic looks good too. This almost seems like the perfect quarter final draw for the Europa League – a blockbuster tie between Arsenal and Napoli alongside three others with intriguing match ups of their own. Chelsea may still be the overwhelming favourite to lift the trophy but the quarter finals and semi finals promise some exciting games.